I love working in sketchbooks, they’re a great place to explore ideas, try things out. They’re basically a thinking space. Often, I’ll work on pages and I don’t really know what I’m aiming for, but in the doing, an idea will start to crystallise. We frequently get asked about how we come up with ideas and honestly, the simple answer is just by working. The more you do, the more ideas present themselves! 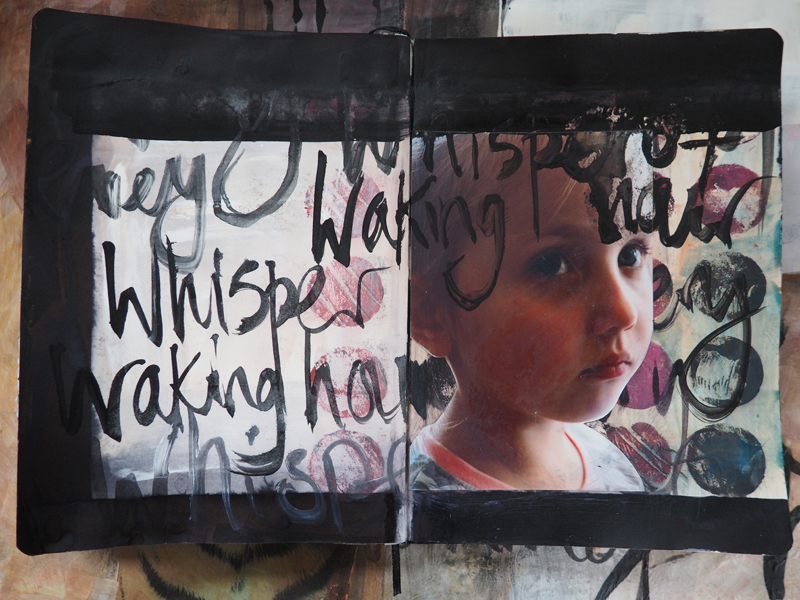 These pages are vaguely working towards a new series of work called Everything You Could Be. I’m aiming to bring together quite a few disparate elements so working in the sketchbook is ideal. 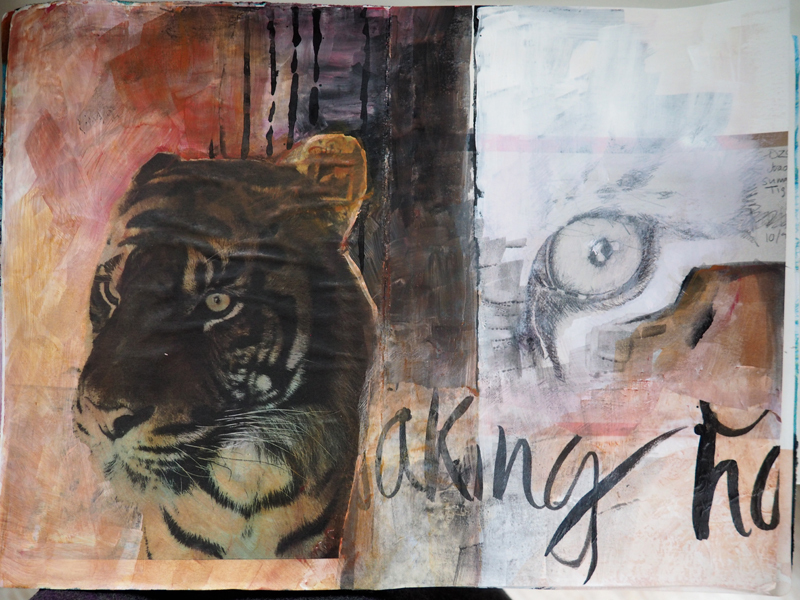 I’m doing lots of studies, collaging bits and pieces and experimenting with compositions. I have two sketchbooks on the go at once, one happens to be A4, the other A5. It doesn’t matter really, but the larger one is giving me the scope to do portraits that are life size which I think will be important in this set of work. 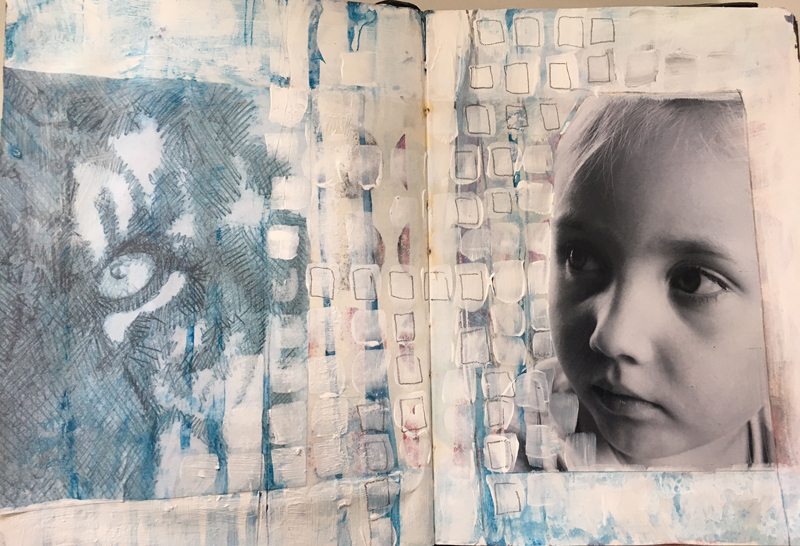 I’ve also got a pile of found papers, photos, collage materials, photocopies and drawings on loose sheets which I’m gradually incorporating into the books. I love to use acrylic gel medium to collage stuff down, often working over the top with some glazes of acrylic paint. Having two books means I can jump between them as I wait for the other to dry. What I’m finding is really working with this approach, is to leave the books open and when I have 5 or 10 minutes, I glue something down, or put on some paint, then walk away, do another job and when I come back it’s dry and ready for the next step. If you’d like to follow along with my progress then please do take a look at my Instagram. I am posting the pages there as I work on them. You can follow me and also use the hashtag #everythingyoucouldbe to just see the work for this project.